Franc wasn’t able to break the maximum of the third wave and the price started the correction. Wave (5) of  hasn’t been completed yet, so the price may start growing up again very soon. 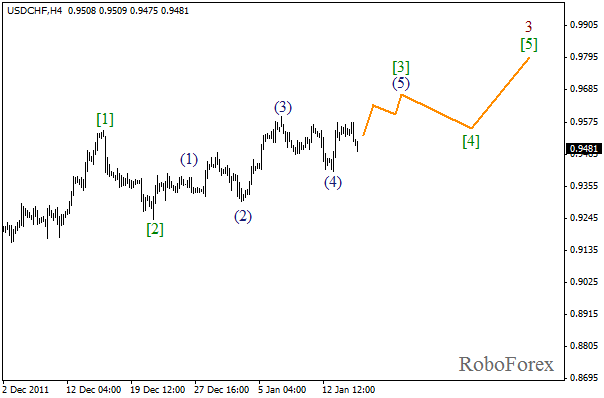 The target for the bulls is still at the level of 0.9700. 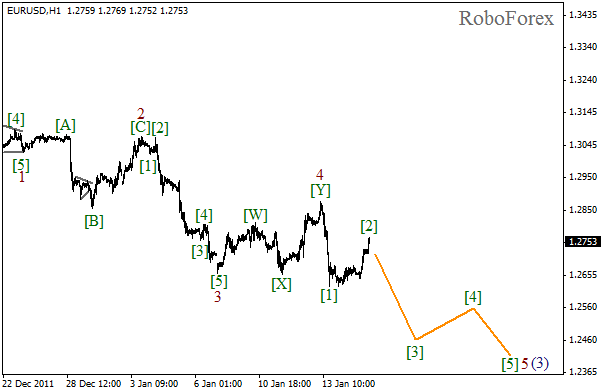 More detailed wave markings are shown on the H1 chart. It looks like wave 2 is taking the form of flat pattern. In the near term, we can expect the local correction to be finished and the price to start growing while forming the third wave. 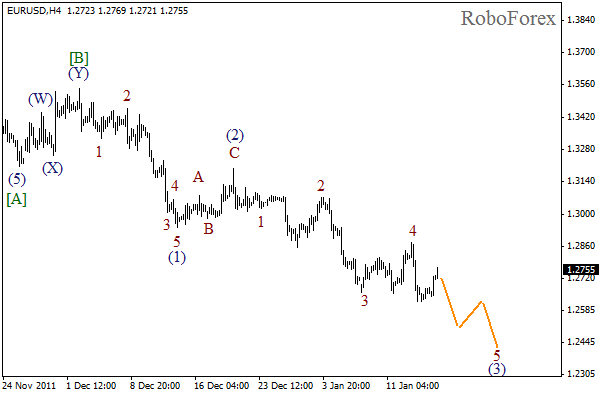 It looks like Euro is being corrected before moving downwards in wave 5 of (3). The local correction may be finished during the day. The target for the bears is still at the level of 1.2500. 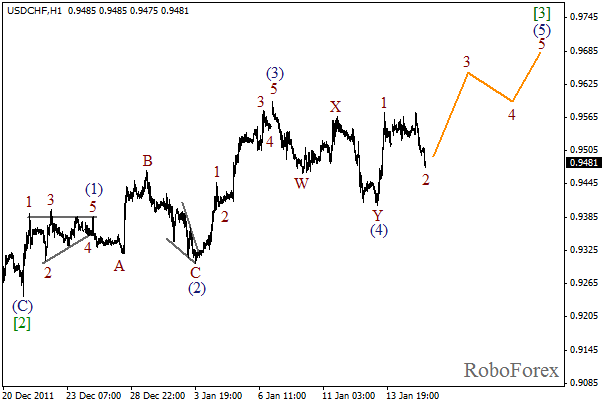 If we take a look at more detailed wave markings, which are shown on the H1 chart, we can see that the price is forming wave  of 5. The current chart structure indicates that the local correction may be finished. In the near term, we can expect the price to start falling down again.